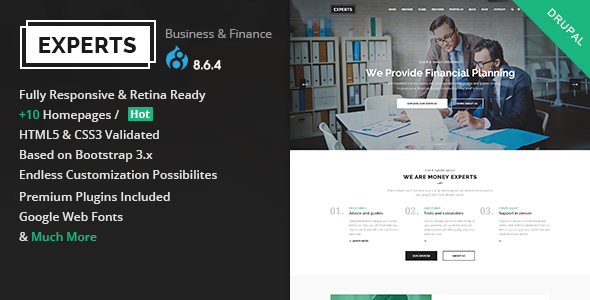 Experts is a stunning, professional and flexible Business & Finance Responsive Drupal Theme based on Strong researches into the field of business, finance and consulting. 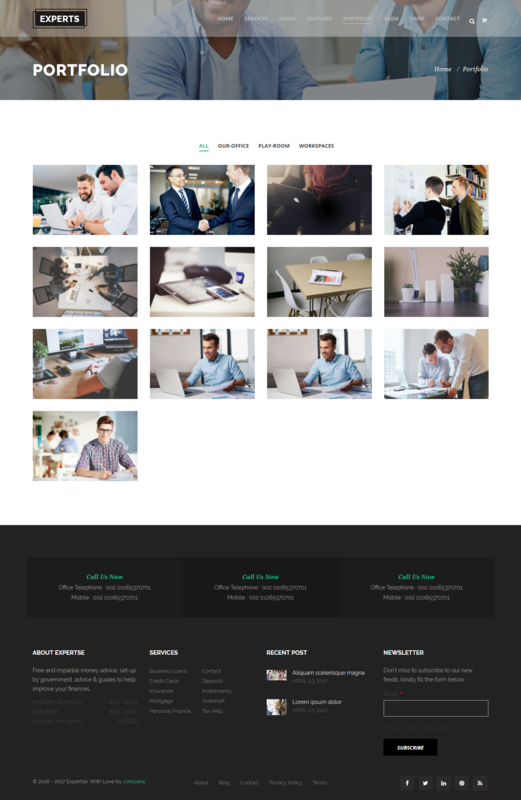 This template specially designed for business companies, financial companies, financial firms, investment, tax-related, consulting, broker, legal help or any kind of business. 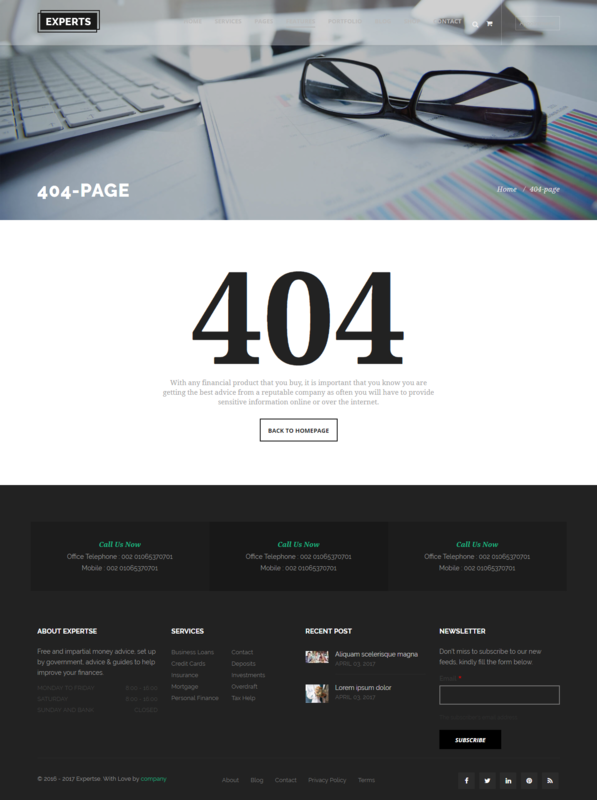 We’ve designed specific corporate demos & pages ready for you to use and launch your new website easily.